There's a possibility that there might be a massive 4K box set of the entire Star Wars episodic franchise on the way from Disney: prequel, original, and sequel trilogies altogether. 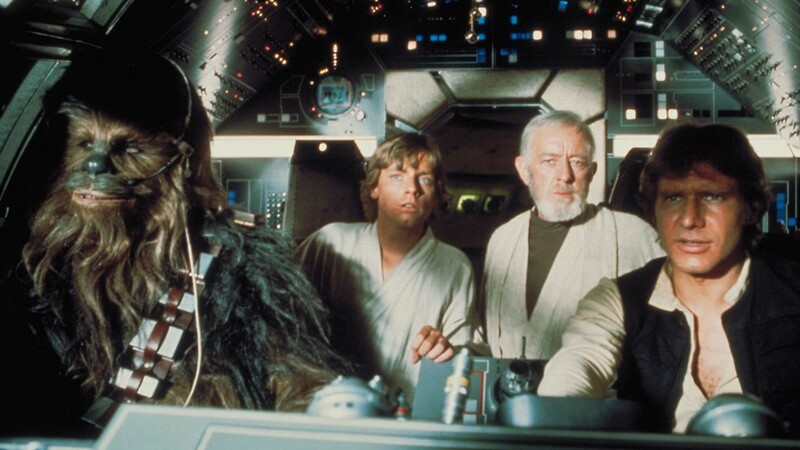 This rumor sourced from The Digital Fix claims that the set will include new 4K scans of the original negatives for each film, so it's entirely possible that we'll be getting new restorations for the original unaltered versions of the original trilogy in this set. Now, the article does begin with a hefty disclaimer, but we sure can dream, can't we? The article also claims that Disney are rummaging through all of the archives at Fox and LucasFilm to deliver as much new, never-before-seen content as possible in order to deliver fans with the ultimate complete saga experience, the likes of which have never been seen before on the home video market. If these rumors turn out to be true, we may be in store for one of the best treats Disney could have given Star Wars fans since their acquisition of the franchise way back in 2012. Their source from Disney UK claims that there are already 4K masters of the original trilogy, and they are currently working on transferring the prequel trilogy as we speak. There are already 4K releases for The Last Jedi and Solo (which is not to be included in the set), so this doesn't seem too far off from what could be a very imminent reality. It's not known exactly if these scans of the Original Trilogy will be for the original theatrical versions or one of the plethora of George Lucas' "special edition" edits, but the source also claims that the box set is supposed to be released sometime in 2020, so we should hopefully be getting more details in the coming months.